The Parliamentary Budget Officer released a report last week providing its estimate on the economic impact of the Canada – EU Trade Agreement. While the Liberal government made CETA its top trade priority when it came into office (and the Conservatives claimed that the deal would add $12 billion to the Canadian economy), the PBO report concludes that the economic benefits will be modest at best. The report devotes a full chapter to CETA’s intellectual property provisions, particularly the patent related rules that will have a direct impact on the pharmaceutical industry. CETA establishes patent restoration and patent appeal rules that will extend the term of patent protection for pharmaceutical products, thereby increasing consumer prices and royalty outflows. With a regulatory framework designed to address pricing in place, the report focuses on increased royalty outflows with extended protection. 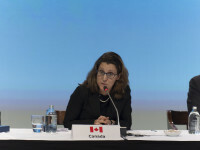 The costs associated with the increased patent protections for pharmaceutical drugs in the trade agreement between Canada and the European Union has long been one of the most controversial elements of the deal. At least one study has pegged the cost to provincial health care at more than a billion dollars. In response to those concerns, the Conservative government promised to compensate the provinces for the increased costs. Earlier this year, when officials from Health Canada appeared before a House of Commons committee, they acknowledged that it is hard to estimate the actual cost but that they knew that the agreement would increase the costs of drugs in Canada. Last week, Steve Verheul, the lead Canadian CETA negotiator, appeared before another House of Commons committee and was asked if the department has done any analysis on the financial impact of the extended patent protection. Remarkably, Verheul said that it has not, arguing that it is difficult to come up with a projection. 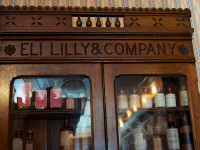 In fact, when pressed on the issue, Verheul speculated that perhaps costs would not increase since Canadians already pays higher prices for pharmaceutical drugs than consumers in European countries such as the UK, France or Germany. These comments from Canada’s lead CETA negotiations are simply bewildering. 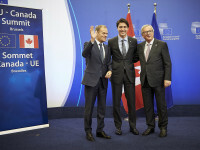 The Canadian government moved quickly from signing the trade agreement between Canada and the European Union on Sunday to tabling Bill C-30, the CETA implementing legislation, on Monday. While most of the attention has focused on the political issues surrounding CETA in Europe and the potential gains for Canadian exporters due to tariff reductions, the implementing bill provides a reminder that there are significant costs associated with CETA that have generated far less discussion. 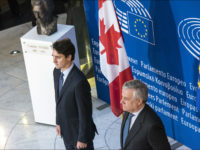 In fact, the majority of the 140-page bill features changes to Canada’s intellectual property rules, requiring changes that largely serve European interests. 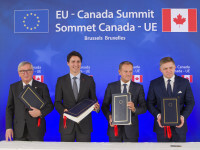 Mandated reforms to patent protections (in the form of term restoration provisions) and the expansion of protections for dozens of European geographical indications was always part of the price to be paid for CETA. There were concerns expressed throughout the negotiations on both issues. Geographic indications rules grant protections to foods widely produced around the world and establish new marketing and naming restrictions on Canadian food producers. Meanwhile, the patent term restoration provisions are likely to increase health care costs in Canada by delaying the availability of generic pharmaceuticals due to the extension in the term of protection for patented pharmaceuticals.